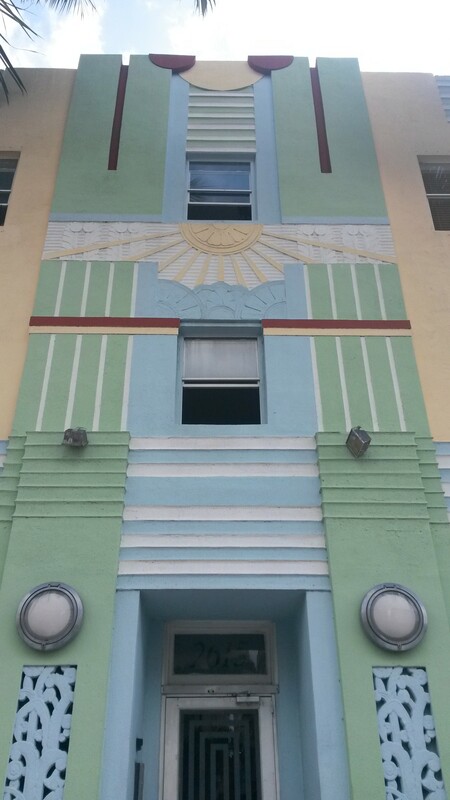 Just as the Regency houses of Brighton & Hove had fallen out of favour by the 1930s, the Art Deco hotels of Miami were in a dreadful state of repair by the 1970s. 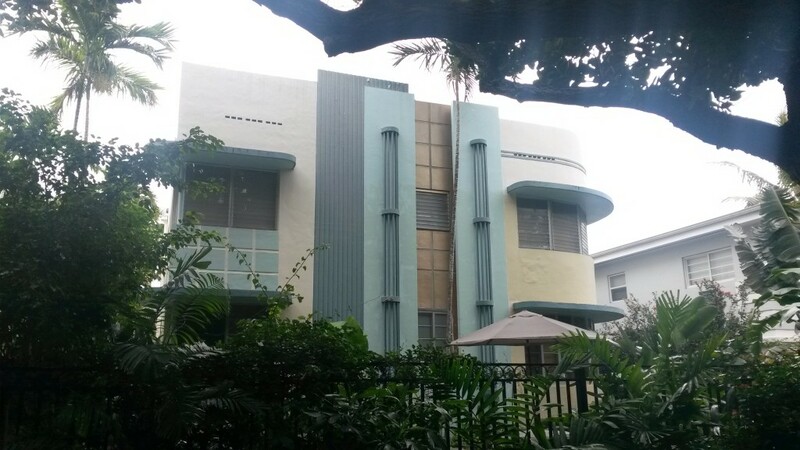 And just as the Regency Society was founded locally to beat the bulldozer, the Miami Design Preservation League was set up to prevent districts of dilapidated, but solid, structures from being razed to the ground. It was Barbara Capitman who had the foresight to highlight just how important Miami’s historic buildings were. 800 or so of them exist in a tightly-packed area on the foot of South Beach. They line famous roads like Ocean Drive and Collins Avenue, but many aren’t in the tourist district. Most exist as simple apartment blocks, hidden away on residential streets, as I found out during a recent walking tour of the area. Miami Beach – distinct from Miami proper – began as a series of swampy islands. It took the vision of a series of developers, including the likes of John Collins, to sculpt its current form. They cut huge channels for boat access, dredged the bay and then used the spoil to construct new islands. The Art Deco buildings are typically three storeys high and three bays wide with ABA symmetry. The high central bay owes its styling to the ancient Egytians. ‘Eyebrows’ above the windows keep the rooms in shade. Just as a handful of architects, including Charles Busby and Amon Henry Wilds, were responsible for much of Regency Brighton & Hove, just four architects, including L. Murray Dixon and Henry Hohauser, built most of Art Deco Miami. Although many would call Brighton’s Embassy Court ‘Art Deco’, it should really be described as ‘Moderne’. ‘Deco’ is an abbreviation of ‘Décoratifs’ after all and Embassy Court could hardly be described as decorative. Miami though has no problem using the term for its streamlined, cruise-liner-inspired, offerings. What is particularly interesting is that the bright pastel colours for which the buildings are famous weren’t added until the 1980s. Each was white or cream originally. There are several theories on where the idea for colour actually came from, Our tour guide though suggested that the New Wave styling of Miami Vice was the inspiration. I think that it was simply a 1980s thing, drawn from many sources. It’s nice to forget it but the Royal Pavilion was painted in bright colours too at that time.